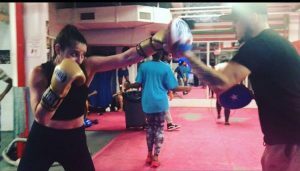 Mendez Boxing Gym in New York is known as one of the top boxing gyms in the country, producing countless champions at both the amateur and professional levels. 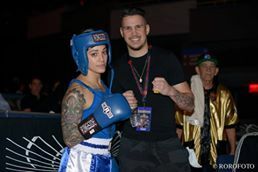 On May 17th, two female boxers training out of Mendez found success in their respective rings. One of these strong women never intended to compete, comfortable to train for fitness. The other was an experienced competitor who needed an assertive push to make it to the next level. Both female boxers were trained under the watchful eye of Coach Jose Guzman. Rebecca Goldberg is a physician’s assistant who started taking boxing classes in order to lose weight and stay in shape. Not only did she enjoy boxing, but it turns out that she was pretty good at it. She started training about a year and a half ago, with absolutely no intention of competing. Like most fitness boxers, Goldberg was hesitant to get hit or go through the grueling camps she had seen others do in preparation to compete, though she is no stranger to hard work. There is nothing like your first fight camp. It is grueling both mentally and physically. Cutting weight, time management and workout recovery coupled with the mental stress of knowing that someone wants to punch your face in. These are just a few of things to take into consideration. Rebecca also has a full-time job, which typically doesn’t make camp less stressful. “Then I found out that I wasn’t going to be at her fight because I had to travel to Nebraska with the national team,” said Guzman. Goldberg had committed to the fight and was going to see it through despite not having her coach in the corner. Fighters4Life is a boxing promotion that hosts USA Boxing sanctioned amateur bouts for charitable causes. Lopez is not a professional in either sport. She bartends to make ends meet, but that lifestyle can often make it difficult to stay disciplined. In a sport where lack of focus could have big consequences, Guzman wanted to make sure Lopez was serious about the competition. 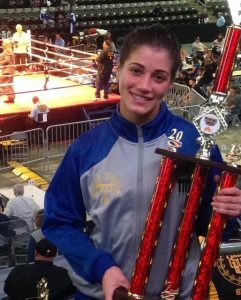 Out of 13 female boxers in her division at the Golden Gloves National Competition, Lopez took home second place. Both female competitors have a desire to continue fighting. Look for Jennifer Lopez to also continue her career in MMA with a new-found focus on striking. 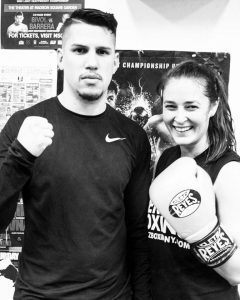 Now that she has a taste for boxing competition, Rebecca Goldberg hopes to be back in the ring and continue to grow as an athlete. 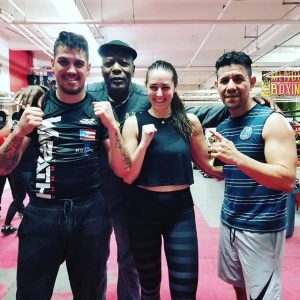 If you happen to be in New York, stop by Mendez Boxing to meet Coach Jose Guzman and watch champions being created one training session at a time.